Jack Skellington might insist that a coffin makes a fine Christmas present, but I'm not sure the body within it would agree. He's always trying to pry his way out. 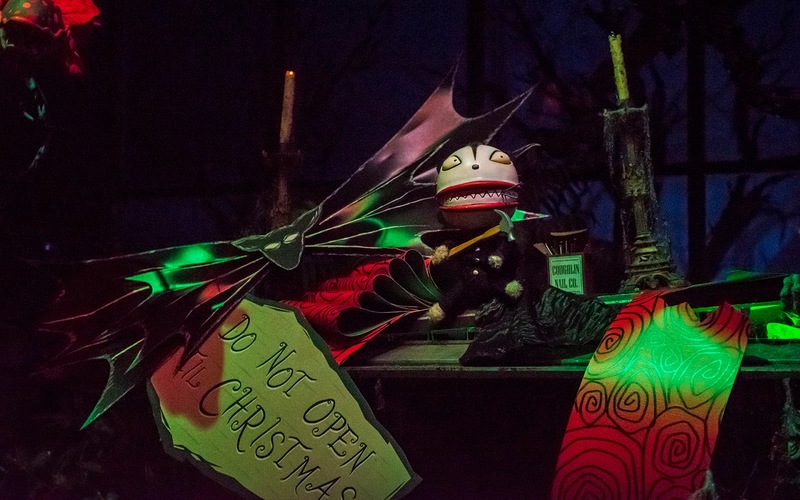 All the while, Vampire Teddy--a recurring fixture throughout the Haunted Mansion Holiday--goes about hammering more nails onto the lid to seal the corpse in. Well, after all, if this is to be a present, it should be unopened, right? Vampire Teddy sits atop a coffin that just can't seem to seal itself.